ICC London Excel has logged £1m of event bookings within the past two weeks and expects to announce more by the end of January. 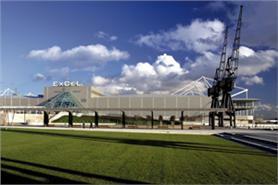 The venue, which will be officially launched on 1 May 2010 following the £165m expansion of Excel London, is currently finalising agreements to stage six further congresses. ICC London Excel will offer a 5,000-seat auditorium, a banqueting hall for 3,000 and a Capital Suite for up to 3,000 delegates, in addition to 50 existing meeting spaces. During a press conference at EIBTM in Barcelona today, Excel London managing director David Pegler said: "The ICC gives us the ability to compete in the world market for conferences and events that we probably haven't competed for previously. "With regards to our competitors, producing a world-class facility that, in most cases, is better than rival centres in Europe, will mean a significant increase in business tourism coming into London." The development of ICC London Excel is expected to help the city improve upon its current position of 19th in the ICCA rankings. Visit London director of business tourism Tracy Halliwell said a meeting was scheduled for January, when a new set of strategic targets would be drafted.